Are the cheap "silion" and "rubber" fitness bands soon a thing of the past? 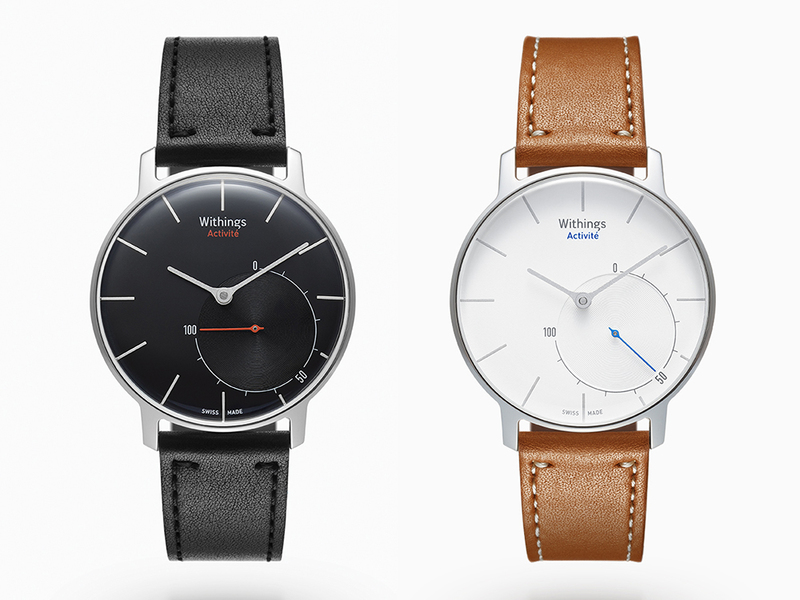 Withings, a French based product company have announced the Activité - a great looking watch that doubles as a fitness tracker, working in collaboration with a Health Mate application to act as a personal coach to help you achieve your goals. It has standard accelerometer support to track movement (walking, running, swimming) with calorie tracking; responsive glass for alternative interaction - tap twice to show the alarm clock time. Under the hood it uses low energy Bluetooth to communicate to their companion iOS (sorry, no luck for android or other platforms) application. It has a price tag of $390 USD. Activité reinvents traditional watch-making expertise and introduces the Swiss Made Connected Movement™, certified for its precision and long lasting accuracy. No need for a winder button, Activité is connected to your smartphone and automatically displays the exact time, always. Should you go abroad, Activité will instantly adjust to the corresponding time zone, anywhere. It comes in two models; black and silver with water resistance to 5 ATM and operates on a simple CR2025 battery - with all this bling it is a shame it is missing kinetic charging.